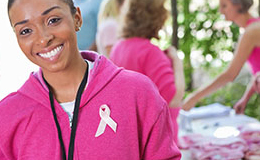 The Pink Fund relies upon a large group of dedicated volunteers to help us accomplish our mission. We use volunteers in a variety of ways, from office assistance to correspondence to fundraise and event plan. Whatever talent you can offer, we will make every effort to work within your areas of interest and strengths. Please do not use this form for inquiries on application status or qualification guidelines. All inquiries and information must be received via email to grants@thepinkfund.org. Please do not share medical information via this form.